Little does she know that there are dead bodies waiting to be discovered, and a lifetime of secrets are about to untangle. 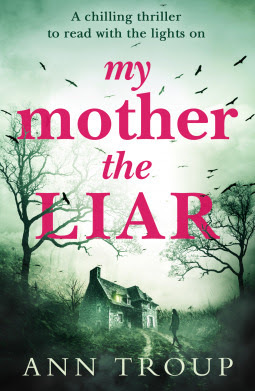 I love the way the author captures the dysfunctional family element so well in her books, and this story is another one of those that is full of family secrets and feuds, lots of characters to distrust and twists and turns galore to keep you turning those pages until the end! Rachel is returning home after the death her mother. She doesn't want to be there, and even missed the funeral, as there was very little in the way of 'love' between them, but she is needed for filling in some forms and on her return the ill feeling from the past is still very much on show between the children left behind, and even more so when a gruesome discovery is made at the family home. It's up to DC Angie Watson to try and get to the bottom of the identity of those found, and to sort out this mess of a family who all seem to have questionable pasts and don't seem the most trustworthy of people. The past really captures up with Rachel as her fits return and she is reunited with her ex, who is still smarting from the way their relationship ended - and another character with a dodgy record! The more that is revealed during the story, the more I was hooked! There was so many twists and turns, secrets and lies that I would have sympathy for a character one minute, and despise them the next! I found it to be really cleverly put together with new revelations littered throughout that would leave you questioning the various versions of what went on in the family home 'The Limes' all those years ago. Really fast paced and full of intrigue - really recommend it if you're looking for a great story to savour!